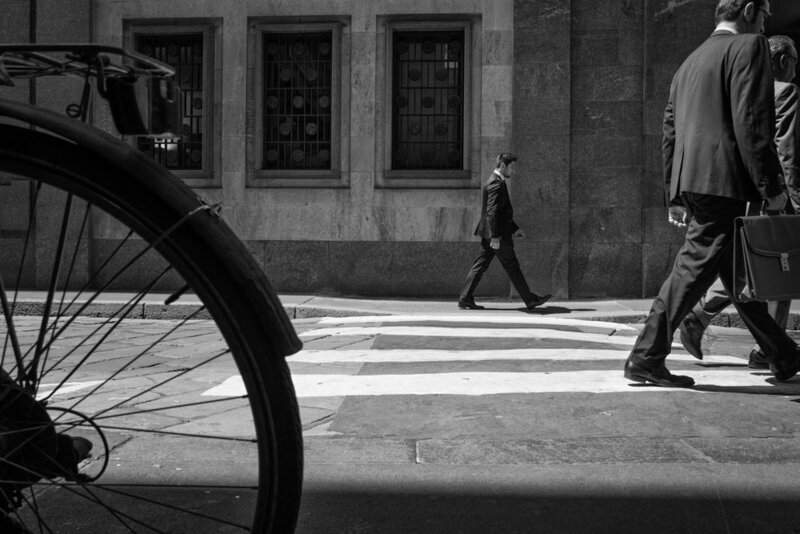 On Wednesday, June 10th, 2015, in occasion of the Leica Q camera launch, I was invited to participate to Leica Italia’s “28 Street” exhibition dedicated to the use of the 28mm lens in Street Photography. Three of my images have been exhibited together along photographs of great masters of Street Photography such as Elliott Erwitt, Joel Meyerowitz, William Klein, Matt Stuart and Craig Semetko. 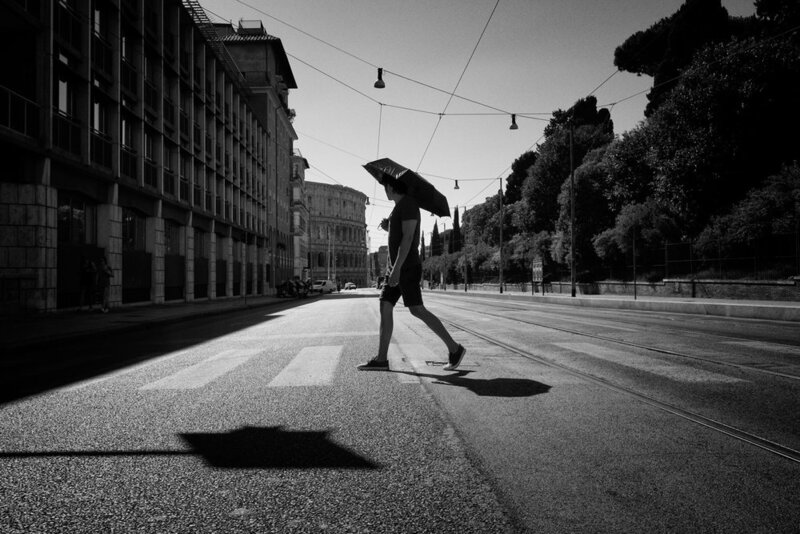 In the same evening I received my Leica Q and in the next couple of days I was finally able to test it properly in Milan and Rome and write this Leica Q Review. After reading several previews and a couple of early reviews I was really curious to try the Q, especially on a real test drive on the streets where I felt I needed to use it in a street environment a bit to understand the real potential of the camera. This is not going to be a typical review and I’m not going to be too technical. What interests me is to share real world experiences on the field, trying to understand the pros and cons of the new Leica Camera. I’m a happy Leica M Shooter and I wasn’t expecting to change system any time soon. I was wrong. First of all, let me start saying that the new Leica Q is nothing less than stunning. After few days of shooting with it I’m totally amazed by this new camera. I never felt a camera to be so natural to me in ages, and considering the way I shoot this is the most “transparent” tool I ever used. The camera is FAST like hell and the aperture of 1.7 on the 28mm with incredible high iso performance makes this one of the most versatile cameras ever built. And I’m pretty sure this is the sharpest 28mm lens I have ever shot. From a technical point of view is a very ambitious cameras: a compact body with a 24 MP full-frame sensor and a Summilux 28mm f/1.7 lens with macro functionality. An electronic viewfinder, and interesting extras: a 35mm and 50mm crop modes. While the 35mm gives you plenty of pixels the 50mm crop mode sounds a little less useful. Anyway it comes for free so it’s not something I can complain about. The camera is able to perform 10 fps continuous shooting and it can take videos at 1080/60p HD. The 3” fixed touchscreen LCD with 1.04 million dots is one of the best I ever experienced. For the first time I found myself never using the viewfinder. The LCD is so bright and it refreshes so quickly that it looks like a window over reality. And most important the camera has no lag while shooting with the LCD. All my pictures were taken in the exact moment I pressed the shutter button. Leica Q Street Photography: using an lcd monitor with no lag you can achieve a great accuracy. From an engineering point of view the Q is a real marvel. It feels solid, well-built and it finally looks like it was designed by a photographer. Every button and function are where they should be. It has a focusing tab ideal for zone-focusing, and a blazing-fast autofocus, probably faster than any competitor on the market right now. One of the first really interesting features for the street shooters is the touch-to-focus/touch-to-shoot (using the LCD) option that can be very effective, especially when shooting from the hip. Of course its a Leica camera so you can always focus manually using the very precise focus depth scale on the lens. The DNG files are 14 bit and can easily be pushed 2-3 stops. According to Leica, the camera sensor is able to capture 13 stops of dynamic range. What I can say is that this camera is one of the best cameras I ever had in terms of automatic exposure. I’m always working manual with my M because I don’t want to miss a shot especially in difficult light conditions. I wanted to give the Q a try and on the first day I shot in Aperture mode. I’m so glad I did it. I was really surprised by the camera capability to meter the scene. Nearly all the pictures I shot on that day were exposed exactly the way I was expecting. I was able to concentrate more on the contents and less on the exposure compensations. So is everything perfect with this camera? Talking about the camera design the only problem that could not be solved by any firmware upgrade is the lack of a weather sealed body. This will certainly make my life a little bit more complex during bad weather conditions rather than when shooting with my M.
On the software side we will need as soon as possible a “DNG only” shooting option and the possibility to disable the focus point control pad, in order to shoot with the focus point fixed in the position we choose. A couple of times I touched it accidentally and I found my focus point in a different position than expected. In terms of Firmware, I hope for Leica to be reactive and ready to update the camera on regular basis. Excusive me sir, I have to write a Leica Q Review, could you smile please ? For the first time I might not regret leaving my M at home and bring my new Q on the streets with me. This is a real Leica, a real german camera and the images have the true Leica look and feel. A lot of people says that the Q is going to be a game changer for Leica. Time will tell. What I’m sure of is that this camera is right now a game changer for me because this is the best Street Photography Camera.